The Pampered Iguana | My name is Shamus, the iguana, and this is my story. My name is Shamus. 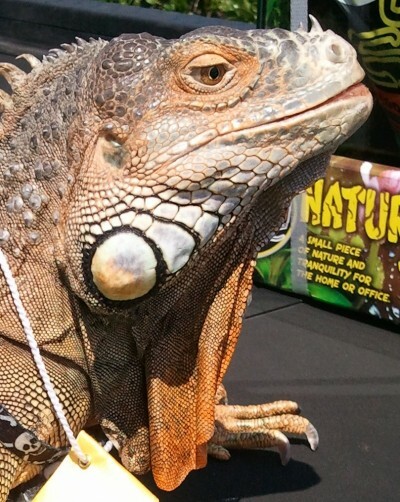 I am a green iguana and this is my blog. I started out with a good life until my family couldn’t take care of me anymore. I ended up with metabolic bone disease. I have missing fingers, a regrown tail, and a deformed jaw. But my bone disease is cured now and I was taken in by a family who loves me. Mom is a little crazy but she spoils me rotten. I have lots of reptile friends at my new home and I know I will live here forever. I wanted to start this blog to tell the world my story. You will follow my life at home, my adventures with my friends, and my work with Southern Reptile Saviors Rescue, Inc. Along the way, I will educate you about how to care for me and my friends. I hope you like my blog as much I am going to like writing it. How does one apply for adoption of an animal? Hi Alice, please use the contact form on our new Contact Us page to email me directly. I do have an adoption contract that states I can do a house check and you can never sell, breed or give them away (they would have to come back to me), and there is an adoption fee. I like to get to the know the person a bit so I can make sure you have the proper knowledge you need to keep the iguana healthy and happy, and you’ll need to have a reptile vet ready to use if the need arises.